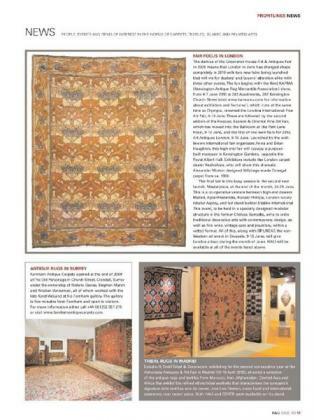 HALI (the name means carpet in Turkish) is the glue that holds the international rug and textile art market together. Described as “the benchmark against which all other art publications measure their quality”, HALI is an international quarterly magazine of exceptional style, brimming with information. It is essential reading for the amateur and the connoisseur alike. Farnham Antique Carpets mentioned after opening our gallery in Crondall.